Obituary for Lois J. (Henning) Hydak | Savolskis - Wasik - Glenn Funeral Home, Inc.
Of Munhall, on November 23, 2018, age 91. 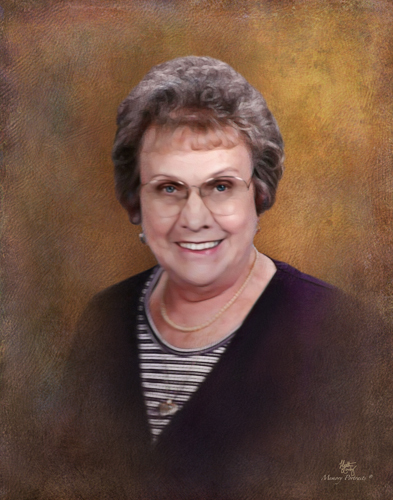 Lois was born in Rankin, PA to the late Fred and Thelma Henning; Beloved wife of 68 years to the late William P. Hydak; mother of Sharon (Joseph) Ripper, Carol (Jay) Pishinsky and the late Sandra (late Gregory) Stakus; grandmother of Kira (Steven) Pfeil and Brian Ripper. Friends received Savolskis-Wasik-Glenn Funeral Home, Inc., 3501 Main Street, Munhall, Monday 4 to 8 pm. Funeral Mass Tuesday, 10:00 am, St. Therese Church, Munhall.